As decomposer organisms, pathogens, plant symbionts and nutrient cyclers, fungi are of fundamental importance in the terrestrial environment. Moreover, in addition to their well-known applications in industry, many species also have great potential in environmental biotechnology. The study of this important class of organisms is difficult through experimental means alone due to the heterogeneity of their natural growth habitat and the microscopic scale of growth. 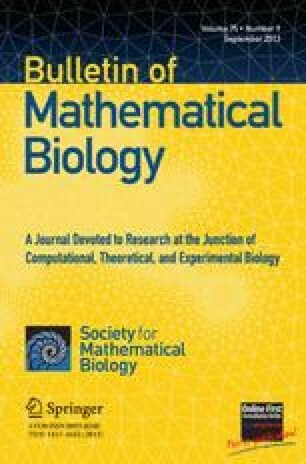 In this work we present a mathematical model for colony expansion that is derived through consideration of the growth characteristics on the microscale. The model equations are of mixed hyperbolic-parabolic type and are treated with a numerical scheme that preserves positivity and conserves mass. The numerical solutions are compared against experimental results in a variety of environments. Thus the effect of different translocation mechanisms on fungal growth and function are identified. The derivation and analysis of an approximation to the full model yields further results concerning basic properties of mycelial growth. Finally, the acidification of the growth habitat is considered and the model thus provides important predictions on the functional consequences of the redistribution of internally-located material.